Celebrity Cruises will operate six ships in the Caribbean during the winter of 2014-15 from Miami and Fort Lauderdale, operating four- to 14-night voyages. Celebrity Reflection will offer seven-night Eastern Caribbean sailings round-trip from Miami on Saturdays from November 2014 to April 2015. The itinerary includes San Juan, St. Thomas and St. Maarten. Celebrity Silhouette will alternate seven-night Western and Eastern Caribbean itineraries every Sunday from Fort Lauderdale from November 2014 to April 2015. 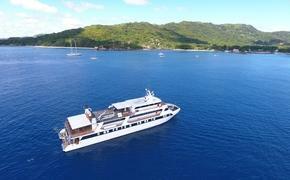 The Western Caribbean itinerary will visit Cozumel, Grand Cayman, Labadee and Falmouth, Jamaica. The Eastern Caribbean itinerary includes San Juan, St. Kitts and St. Maarten. The Celebrity Summit will return to San Juan for her seventh consecutive season of seven-night Caribbean itineraries from October 2014 to April 2015, visiting Antigua, Barbados, Dominica, Grenada and St. Lucia. Celebrity Equinox will offer 10- and 11-night itineraries to the Eastern and Southern Caribbean, visiting places such as Barbados, Dominica, Colombia, Costa Rica and Panama. Celebrity Eclipse will continue to operate 14-night “Exotic Southern Caribbean” sailings, and will transition to departures from Miami on Sundays beginning in November 2014. The ship will visit Bonaire, Aruba and Curacao. The Celebrity Constellation will return to South Florida in November 2014 to operate short cruises through April 2015. The five-night Western Caribbean sailings will visit Key West and Cozumel, while four-night itineraries will visit Nassau, Bahamas and Key West.